What Is The Free & Low Cost Research Center ? If you are currently searching for free and low cost dental care there is no need to search any further. The fact is it would take a great deal of time and effort to locate all of the sources which you can easily find right here at the research center. 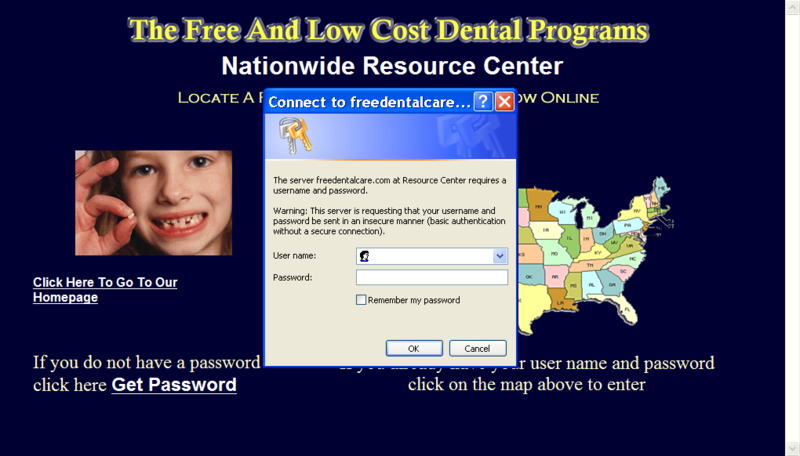 All of the work has been done for you at FreeDentalCare.Com. The free and low cost research center is a user friendly interface which brings you directly to the free dental care programs right here online. 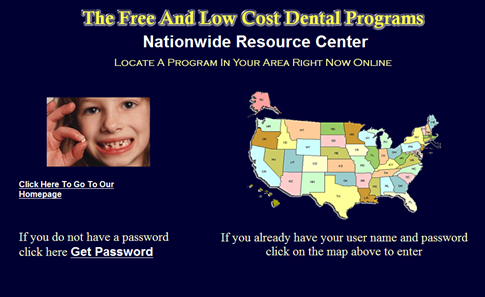 You will locate hundreds of free and low cost dental programs nationwide directly from this interface. Many of the programs are right in your area! The research center is not only centered on free dental care even though that is it's primary function. The center provides information for all types of free and low cost resources including free medical care and your state's government financial assistance programs and much more! You simply will not find such an extensive collection of powerful life saving resources anywhere else on the internet. * Gain unlimited access to hundreds of year round free and low cost dental programs nationwide and in your home state! You will have complete access to the names numbers and addresses of all free and low cost dental programs instantly online. This valuable information will be right under your fingertips. You can start contacting the programs immediately! * Find out about every free dental care event about to take place right in your area! These events are entirely free! At the research center you will locate them nationwide and you will know about all up and coming events which will be taking place in your area and how you can take advantage of them. * Locate free dental care programs special for your children. There are many free and low cost programs designed special for kids. At the research center you will locate all of them through out your state. Also, you will discover a little known national program that will pay for your kids health and dental care even if you are gainfully employed! * Discover how to receive free dental care for the elderly disabled and the handicapped. There is an entire section dedicated to these groups at the research center. You will even find dentists who are willing to travel directly to your residence to provide free care if you are unable to physically make it into a dental facility. * Discover hundreds of completely free medical trials where you will receive all types of free medical and dental care. Some of these trials will even pay you to give you free care! Right from the research center you will locate them and receive their contact information. * Learn what government financial assistance programs are available in your state. Even though these programs are not dental related this information is provided as an added bonus! You will locate all of your states financial assistance programs and learn how you can take advantage of them right from the free and low cost research center. * Discover the most important phone call you need to make to get free and low cost dental care. Make just one call and you will locate many free dental care opportunities right in your local area. This life changing information will be right under your fingertips! * Get free medical and dental care without insurance! No matter if you are employed self-employed or unemployed you will find free and low cost opportunities you can take advantage of at the research center. You could have a beautiful smile without dental insurance with the valuable information you will acquire once you gain access to the free and low cost research center.